Current Book Selection and Meeting Time - NAMI Hunterdon Inc. - NAMI Hunterdon Inc.
Our book discussions are gentle and kind and explore the problems and possibilities of living with mental illness. We use the lens of the authors whose books we read to inform our discussions. But our group enthusiastically embraces digressions and invites participants to bring their own personal stories into our forum (if they so choose). And sometimes it’s not always possible for members to read the book prior to our meetings. That’s fine, we’re not sticklers on that front (or any front for that matter); we just encourage the free flow of compassion. 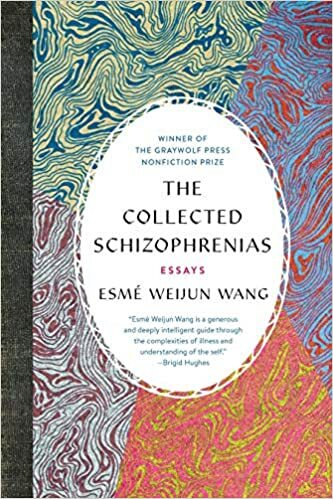 Our April selection is The Collected Schizophrenias: Essays by critically acclaimed writer Esme Weijun Wang. I am thrilled that we will have an opportunity to discuss this provocative new inquiry into living with psychosis. Noting that this book joins a group of well-received books on the topic of mental illness generally and schizophrenia, in particular, Rachel Combe of the New York Times tells us approvingly that in Wang’s kaleidoscopic essays, the memoir has been shattered into sliding and overlapping pieces so that the story of her life subtly shifts from essay to essay. The images and insights Wang summons from these shards are sometimes frustrating, but often dazzling, and worth the reconstructive work, especially in the places where Wang is able to illuminate the lived experience of psychosis, transforming schizophrenia from its popular depiction as a soul-erasing demonic possession to simply another form of human consciousness. As a whole, “The Collected Schizophrenias” provides a new and welcome map for the severe landscapes of schizoaffective disorder, of cerebral disease, diagnosis, recovery, and relapse, of the many human mysteries of the schizophrenias. The essays are resoundingly intelligent, often unexpectedly funny, questioning, fearless and peerless, as Wang makes for a brilliant company on 13 difficult walks through largely uncharted territory.